Gunflint Lake | Poverty, Agony, Distress & Want! 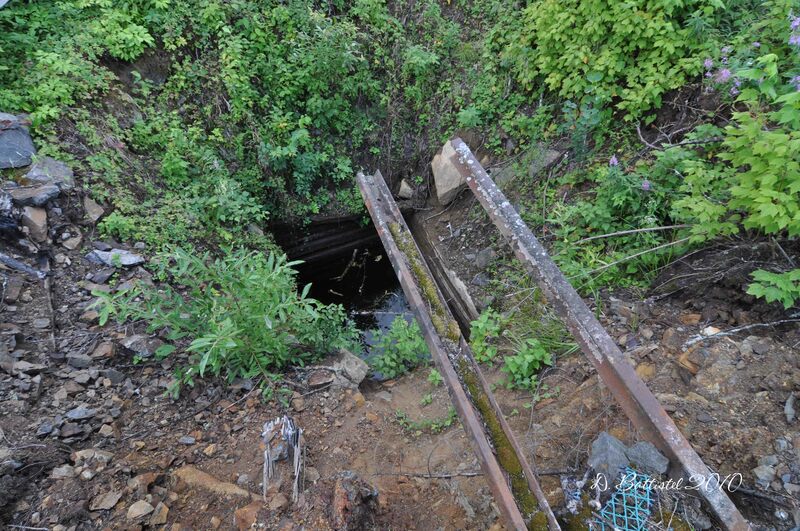 This week’s episode of our YouTube tour of the PAD&W takes us to the end of the line, the Paulson Mine, MN (MP 91). 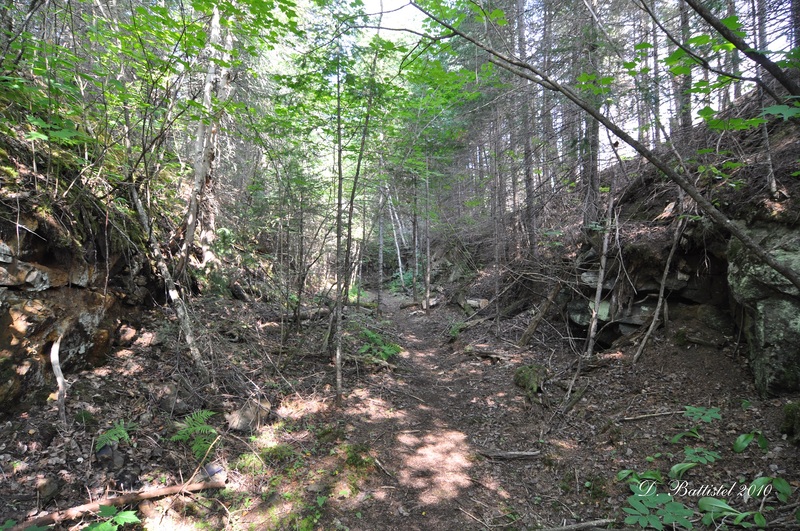 After passing through yet another switchback, the line turns east and terminates at the site of this prospective iron mine. Unfortunately the company that owned the mine went bankrupt in 1893 and it closed without shipping any ore. Attempts were made to re-open it until the 1920s, but none were successful. Have you ever been doing something, anything and suddenly become aware that a long period of time has gone by without even noticing? Like say years. Years Dave? Yup, years. So what has prompted this line of thought you ask? Well, it was actually something I saw on Facebook. There were a number of posts a few days ago regarding an event that occurred in 2007, which was a very significant year for me for a bunch of reasons. Confused? Please, read on. Welcome to May kids! Speaking of time flying by…wow, where did the year go? In any case, I’m back to my usual posts after all the travelling related ones I did last month. May means that the school year is almost over and it’s getting to that crazy time with a million things going on. I’m trying to get my classes all planned out to the end of the year, mark, prep for football spring camp…wow. Sometimes I wonder how I manage to juggle all of this stuff at the same time, and that’s in addition to everything going on at home. Oh well, it will be summer holidays soon enough and some even better news arrived last week. My wife and I have been approved for another semester leave starting in February 2022. Yay! I guess I would be remiss in not mentioning the weather. I know, I always gripe about the weather, but this time it’s for real. Up until a few weeks ago, it had been a gorgeous spring. And then the wheels fell off. 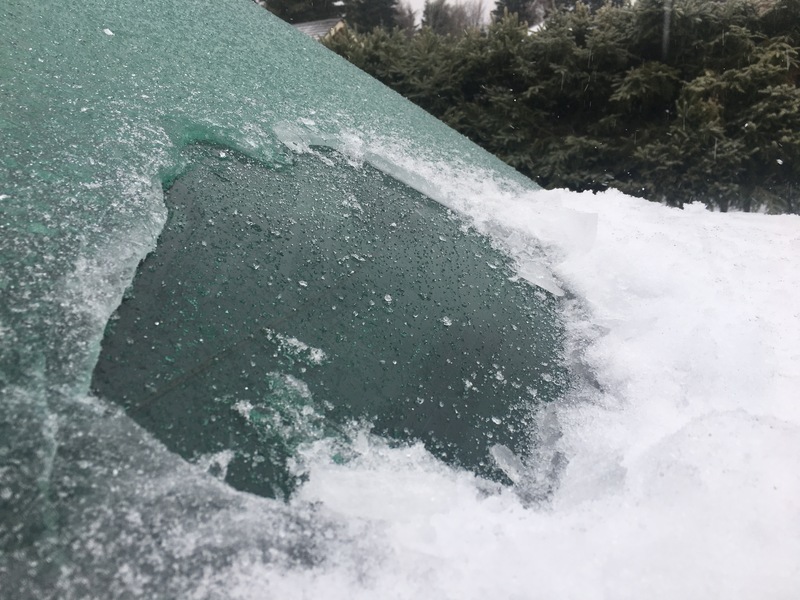 It started with quite a bit of rain one day, then some snow and then a massive ice storm. Ice storm? Yes, you read it right, ice storm. In April? Yup, and it was so bad the schools and the city were shut down for two days. Craziness! The last time that happened was in 1996, when I was still in university. 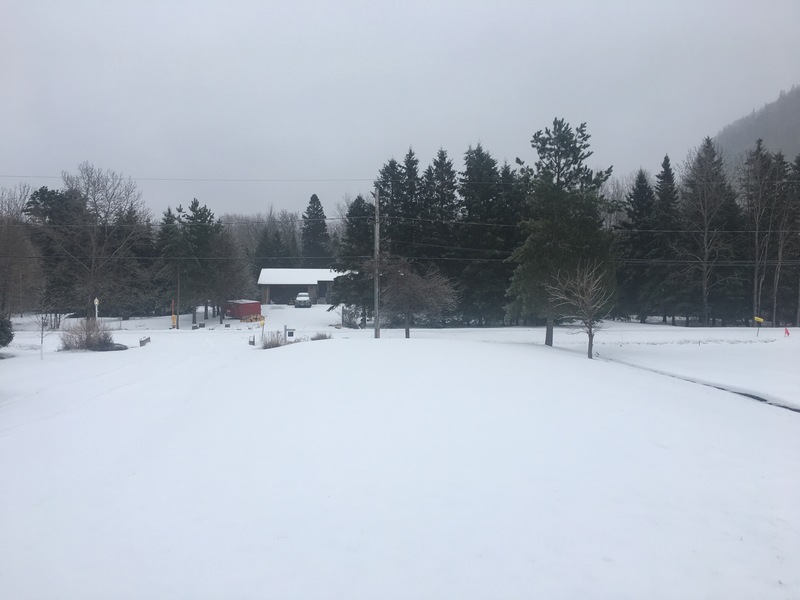 The snow and ice melted quickly and things are relatively back to normal, but that made things around here a rather soggy for a while. Alright, so I should rewind the clock 10 years and discuss what happened way back in 2007. I don’t think I’ll ever forget that year for a number of reasons, some good and some bad. In July, my wife and I welcomed our second son, Noah, which obviously was one of the happiest days of my life. Sadly, only a few days later, my dad lost a very short battle with cancer. It’s extremely difficult to describe the overwhelming emotions you feel when confronted by joy and tragedy all at the same time. However, the passing of my dad helped push me back into my railway research and field work which at the time had been on the back-burner for a number of years. I guess it was my way of honouring him by making the most of every moment that I have. My dad loved the outdoors, and being in the fresh air brings back a lot of memories of our time together. I also have a living reminder of him in Noah, as he shares so many personality traits with his grandfather. Another event that took place in 2007 was one that I overlooked at the time. That year the bush was very dry after several years of relatively dry conditions. Back in 1999 there was a massive windstorm that hit our area, a derecho, which toppled millions of trees in the border areas. The lack of moisture and all those trees turned some places into a tinderbox. 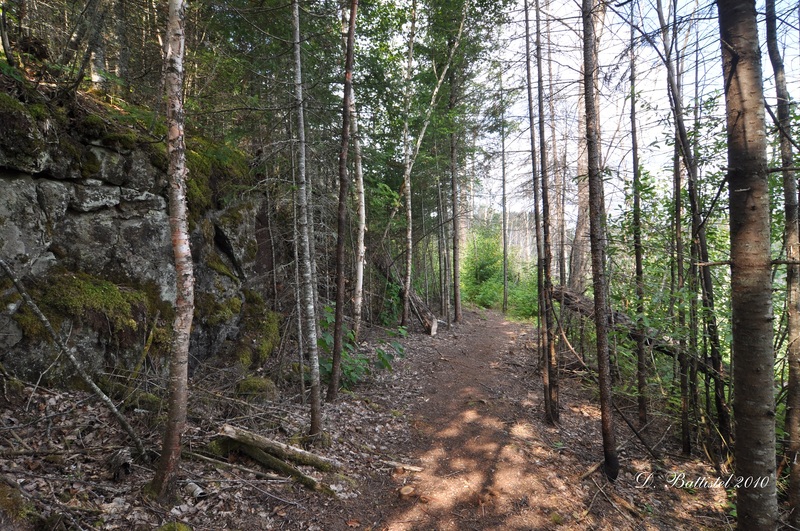 The spark came in early May, when a human caused fire broke out at Ham Lake, approximately 3 km southwest of Gunflint Lake. When it was finally extinguished, it had burned over 30,000 hectares on both sides of the border. 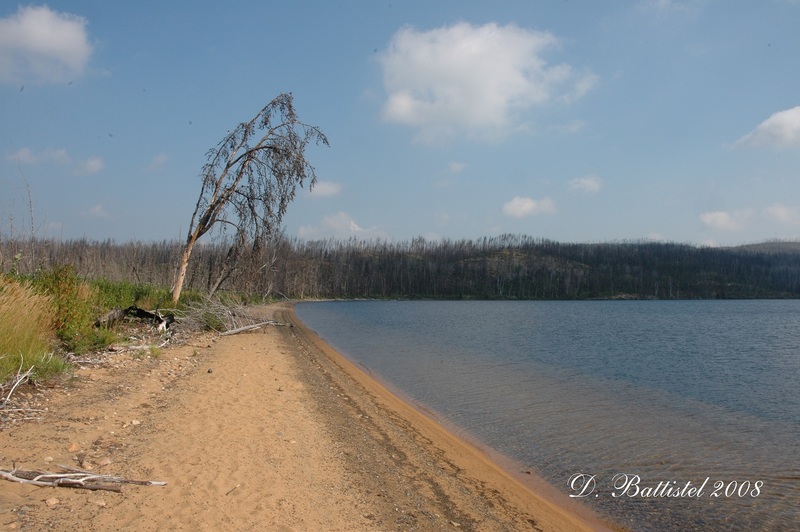 My first visit to the burned areas took place a year later, when I went to Gunflint Lake for the first time since 2000. It was also my first time driving to the Canadian side of the lake, coming down from Northern Lights Lake. It was quite the harrowing journey, as the road was in in terrible shape and a burned culvert over a deep stream had been replaced with a rather sketchy alternative. 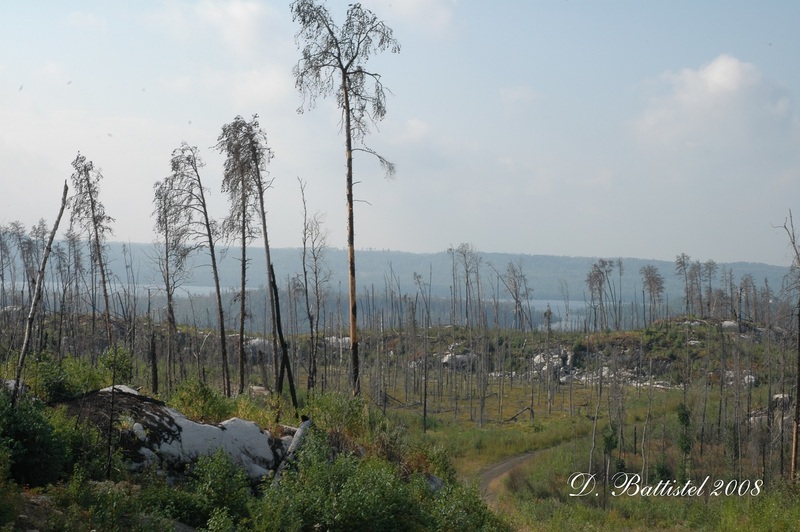 The burn zone was quite extensive, and without the trees the true character of the “Shield Country” (Canadian Shield) was visible. However, I was able to see a lot of things that had previously been hidden in the foliage. 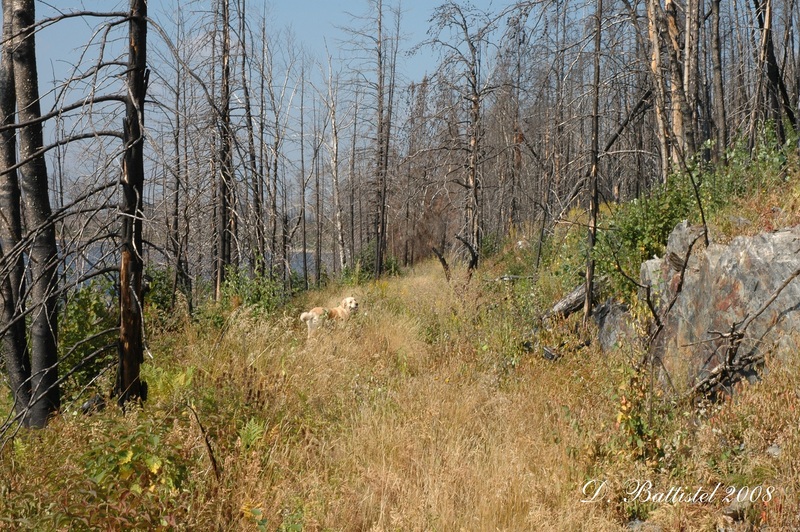 I wish I had explored more than year when all the vegetation has just starting to grow back. PAD&W grade, Gunflint Lake, August 2008. Beach at Leeblain, August 2008. PAD&W grade, Leeblain, August 2008. PAD&W rock cut, Gunflint Lake, August 2008. 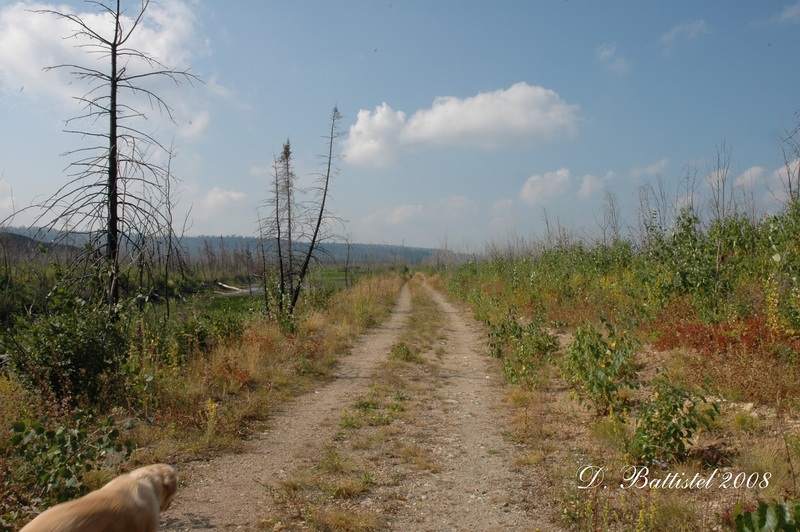 One positive thing that came of the fire was the construction of the Centennial Trail in Minnesota. 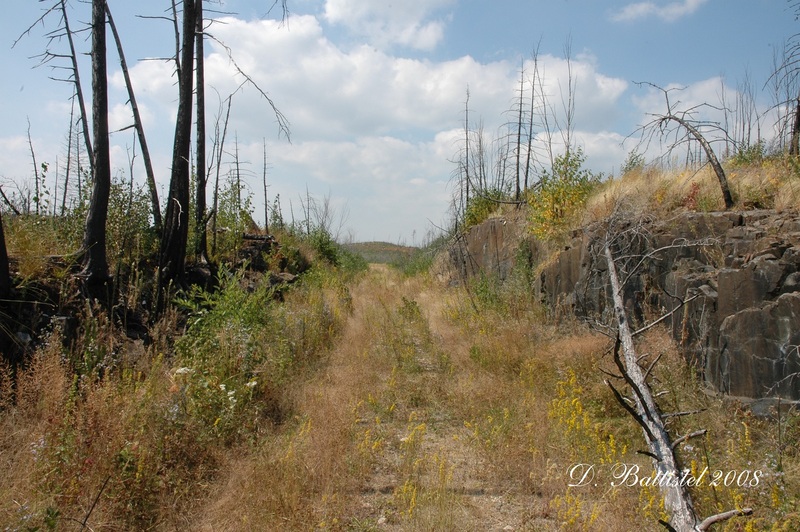 Portions of the railway in the area had been exposed by the fire, along with a number of the mining sites that had been worked back in the early 1890s by John Paulson and his associates. 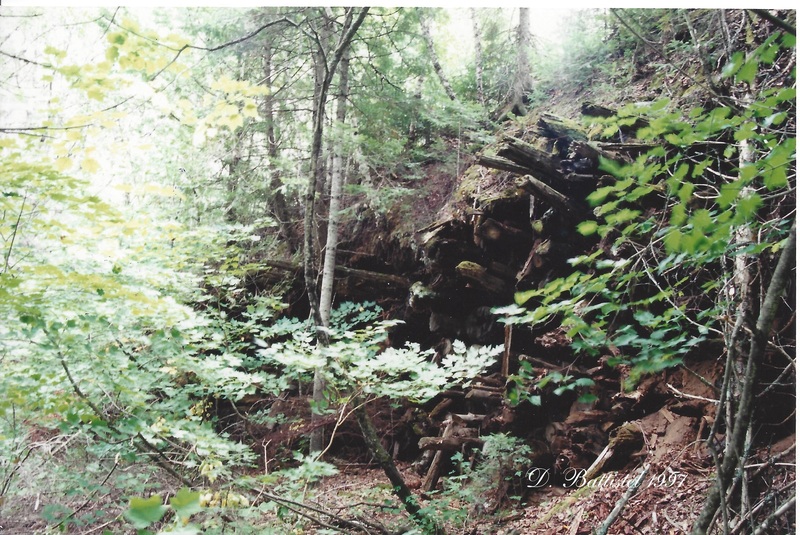 The US Forest Service decided to convert portions of the grade into a trail, along with interpretive stops at key railway and mining features. It opened in the fall of 2009 and I was able to visit it in the summer of 2010. It was my first trip to that area since my initial exploration in 1998. It was a very different place after the blowdown and fire; however, I was able to see many new things, such some of the test pits I missed the first time. 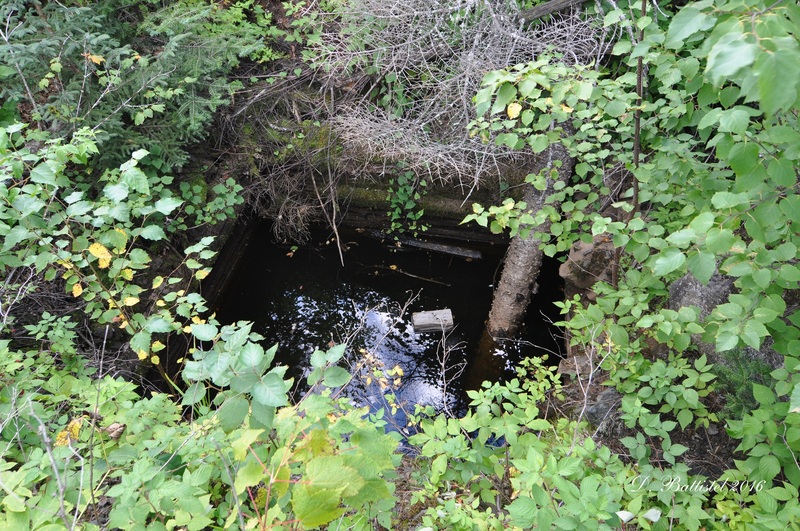 Akeley Lake Shaft, August 2010. PAD&W rock cut, August 2010. Sadly there were some negative consequences to the fire as well. Areas that were previously hidden and relatively free from human interference were now much more accessible. Places that had been neatly tucked under the umbrella of trees were now exposed and becoming overrun with new vegetation. Some physical traces of the railway and mining operation, particularly those made of wood, were unfortunately consumed in the conflagration. 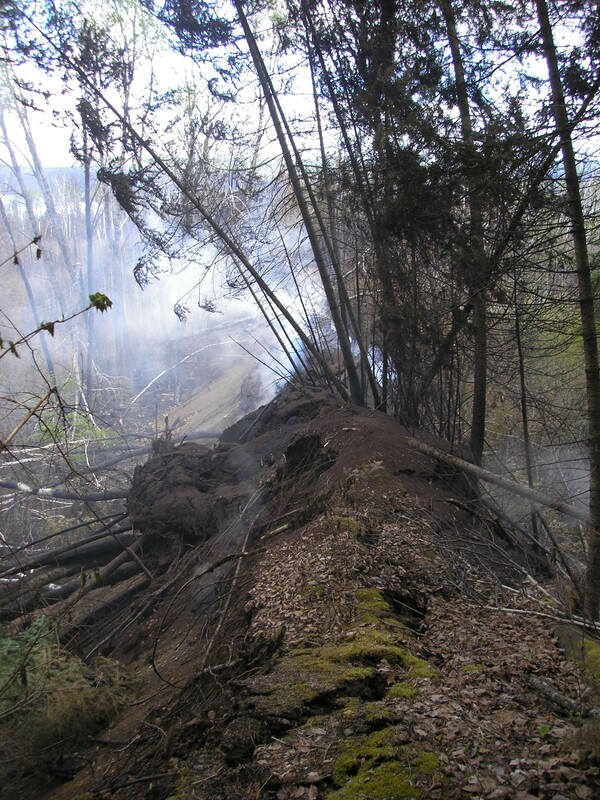 The biggest victim of the flames was one of the most important and well-known historic sites in the area; the corduroyed wood trestle on Gunflint Lake. I’ve mentioned this spot before, as it was one of the greatest legacies of the Gunflint and Lake Superior Railroad. 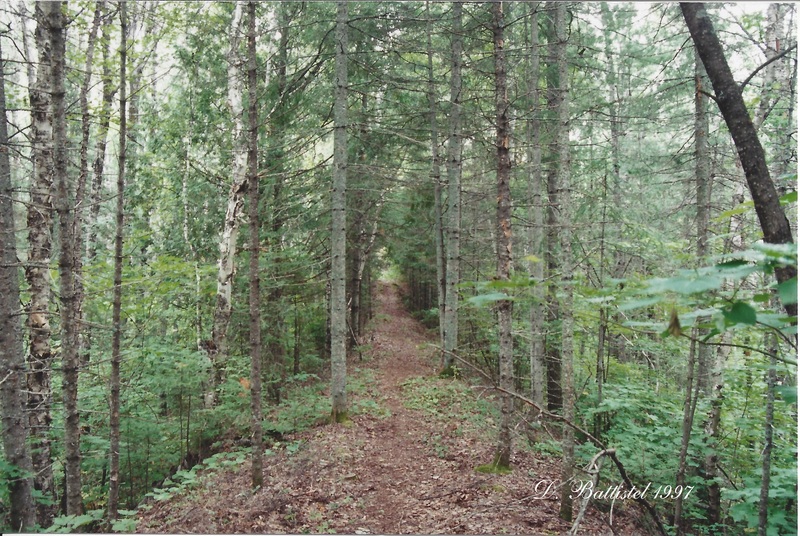 It was constructed sometime around 1904-1905 and was used by the railroad to climb the very steep ridge on the south side of Gunflint Lake. The elevation change from where the railroad passes Camp 4 on the lake (1543 ft.) to where it crests the ridge is nearly 200 feet. 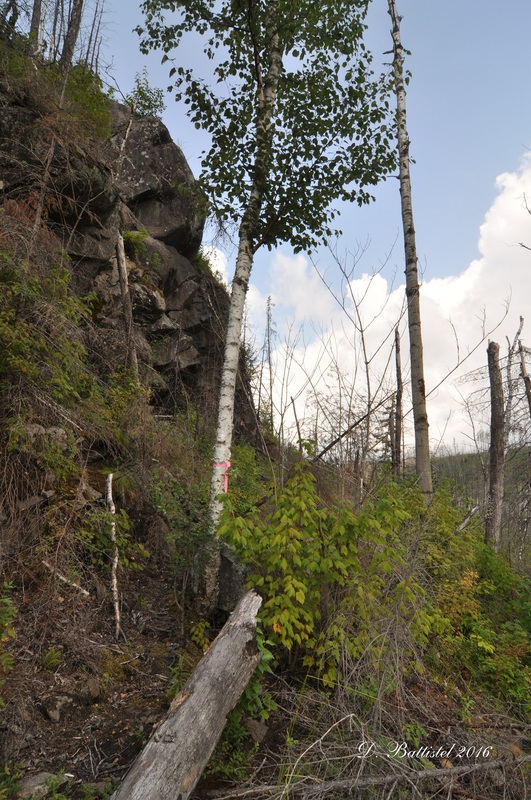 Logging lines typically did not want to expend large amounts of capital on construction as they are generally temporary in nature. Therefore, the Pigeon River Lumber Company had to build something that was cheap but functional; the structure they designed was simple yet ingenious. They began the ascent nearly a kilometre to the east, just south of Camp 4 by climbing a ridge that parallels the lake. Upon reaching the Crab River, which spills over the big ridge to form Bridal Falls, the line turned south. A lengthy rock cut was blasted alongside the river the lower the grade, but there was still a sizable chasm that needed to be spanned. Rather than build a trestle or rock embankment, the engineers simply stacked logs (presumably non-valuable species) in a corduroy fashion until they had the correct angle and topped it gravel. The grade was atrocious, somewhere from six to ten percent (two percent is considered bad for a railroad), which necessitated the use of a special Shay locomotive to negotiate it. 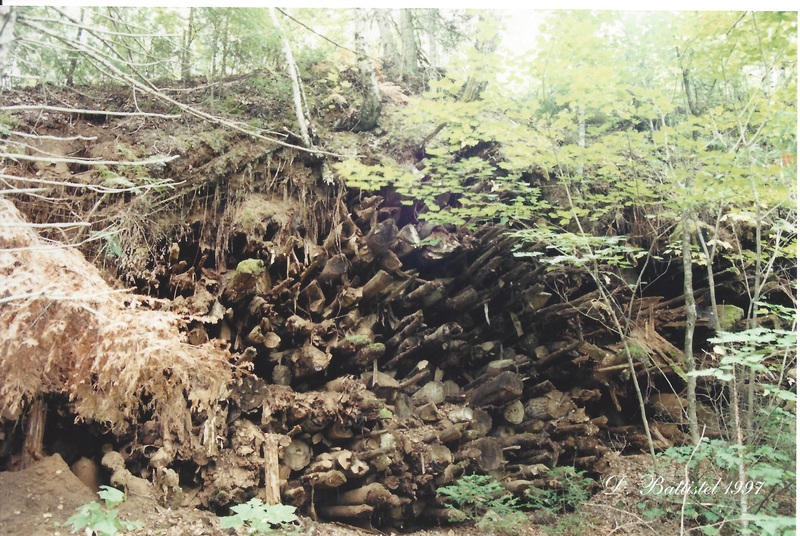 However, it was a sight to behold; a narrow embankment of logs, little more than ten feet wide, towering some twenty to twenty-five feet above the ground and covering more than four hundred feet. G&LS Corduroy Trestle, August 1997. I saw the corduroy trestle during my first visit to the G&LS back in 1997 and was amazed at how well it had aged. I am glad that I had the opportunity and that I documented it as well (watch the video here). The 1999 blowdown caused some damage to it, but it was the fire that sealed its fate. It ripped through the area, scorching some spots and leaving others untouched. The corduroyed logs caught fire, the flames smoldering deep inside the stack of logs for months afterwards. The Forest Service hoped the winter would extinguish the embers, but it continued to flare, even buried in snow (read a story here). There was no other option than to dynamite the structure to put out the last vestiges of the fire; the great corduroy trestle which had endured for more than 100 years (and no doubt would still be around) was forever lost. 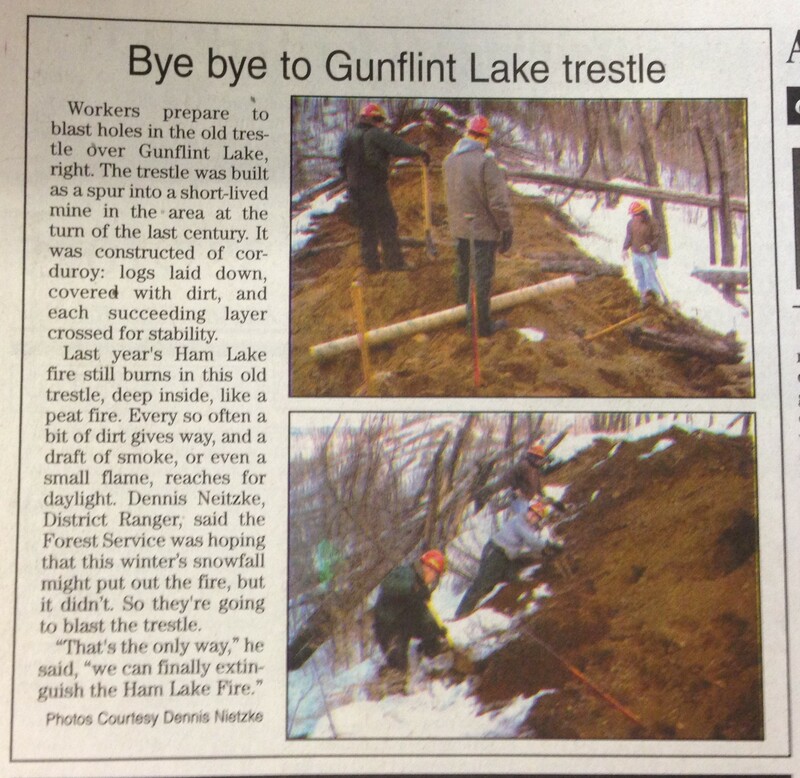 Article from the Cook County News-Herald on the trestle, March 2008. With all the excitement of the past month, I haven’t really had any time to do railway stuff. I can’t remember the last time I even looked at the one of the chapters of the book. In any case, it’s almost hiking season, which has me excited. I’m scheduled to go out next week, so hopefully the weather cooperates until then and the ground continues to dry up. It’s always a gamble going out at this time of the year; it’s the best time to see things in the bush, but it still can be a bit wet. I’m hoping that I can finish locating the route of the G&LS as it winds it’s way south of Gunflint Lake. It’s a long and difficult hike, so my fingers are crossed that everything goes well.